GRAFENWOEHR, Germany — ADAC is an automobile club in Germany that provides roadside assistance to its members, and during warmer months the club opens a booth at the garrison here to provide newcomers with information. For the past several years, Thomas Ullrich, the ADAC adviser to the military, travels between the installations of U.S. Army Garrison Bavaria to inform the American audience about the popular German roadside assistance service. ADAC provides roadside assistance whenever you’re in a jam. If, for example, you get a flat tire on the autobahn, you can call the ADAC hotline and they will provide assistance, Ullrich said. And benefits extend outside of Germany. The cost of ADAC Plus membership varies depending on family size, but expect to pay €84-134 per person annually. You can evens set up automatic payments through your bank. But what if you’re an ADAC member who speaks limited to no German. 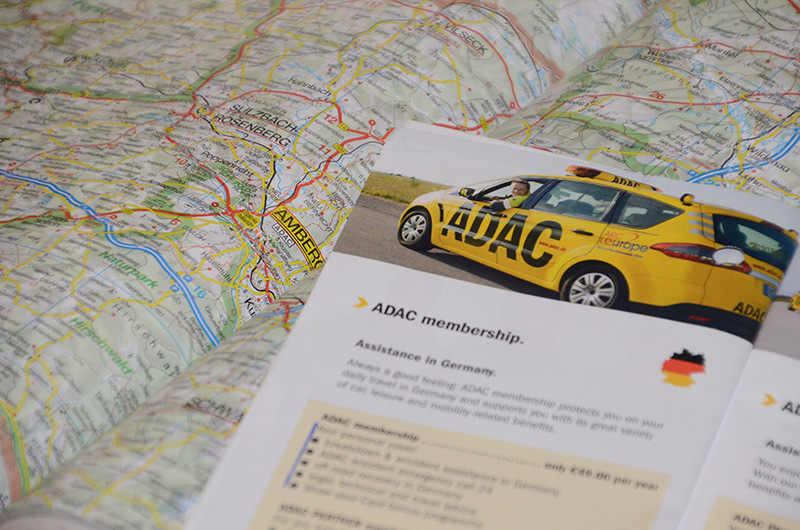 Can ADAC still help if you’re stranded on the road? No worries, Ullrich said. “ADAC employees on the service hotline normally can speak English. If Americans call and the person in charge can’t speak English, they will transfer you to our English hotline,” said Ullrich. ADAC is comparable in performance to AAA in the U.S., Ullrich said. “But the difference is that AAA only insures the stated vehicle, whereas ADAC insures the person. Hence it doesn’t matter what vehicle is used or how many cars are owned. And normally American road side services only get you to the next mechanic, but ADAC gets you to your final destination. ADAC is cheaper too,” Ullrich said. Community members interested in joining ADAC can register online at www.adac.de. But, according to Ullrich, because there are some problems with the English portion of the ADAC website, Americans are encouraged to sign-up through him at his booth on-post. “People can get information and sign up at the ADAC booth,” he said, adding he wants the customers to get 100 percent satisfaction. Ullrich travels between the USAG Bavaria installations — from the beginning of April until the end of October — to register those interested and inform community members of the benefits.